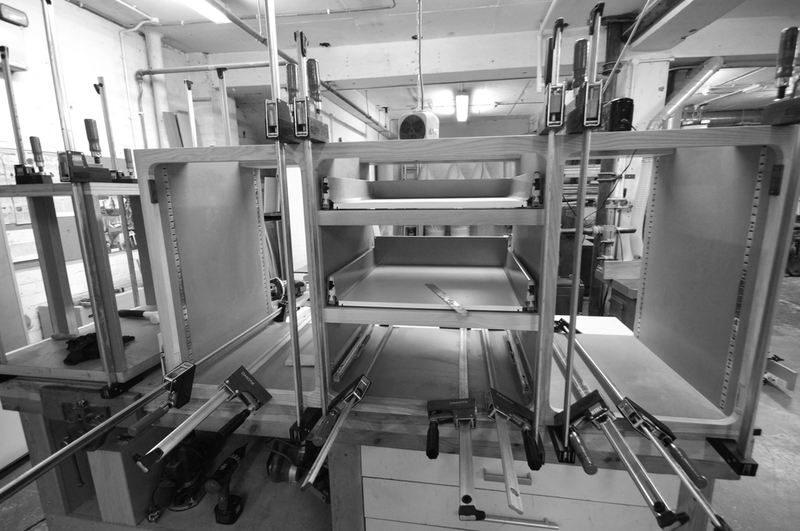 Trained in architecture and a self taught maker, Mark, and his team of craftsmen, create beautiful, hand made custom furniture and kitchens in their Oxford workshop. With over 20 years experience, Mark will guide you through the process of commissioning a new piece of work. Some customers come to the table with a clear idea of how it will look and perform; others require more guidance. Either way, it is a collaborative process we really enjoy. Through a number of meetings a costed design is developed based on your aesthetic preferences and practical requirements. We can work with you on room layouts and liase with electricians and plumbers to ensure the services are fixed as required. We offer a full installation service in areas including Oxford, Cambridge, Newcastle and London. Lighting is an essential part of any room design and something we feel we do particularly well! Lightboxes, backlit corian, LED neonflex and reclaimed vintage lighting have all found a place in our collaborations. 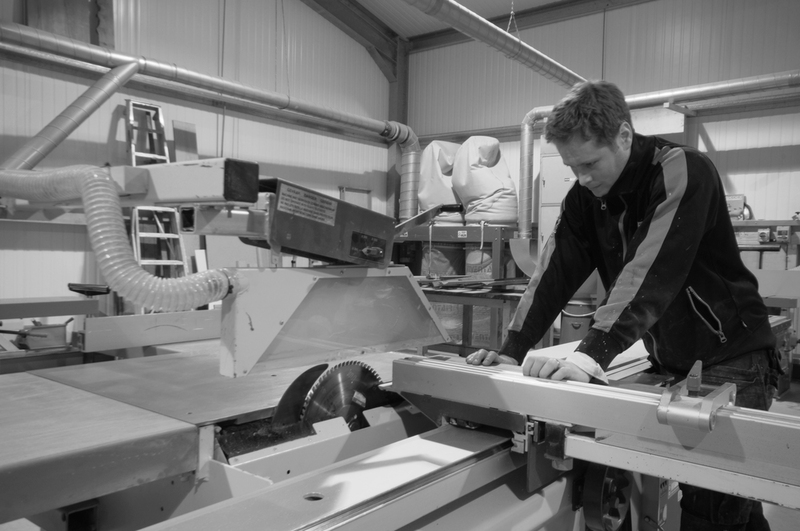 We select from an extensive range of materials when designing. While timber is at the core of our work we regularly incorporate solid surface (Corian), stone, steel and glass. More unusually we've made zinc worktops and cast resin shelving units. So whatever your brief let us help you turn your ideas into furniture you'll cherish for years to come.